From Part 3: Installation, I have installed ISA Server 2006 enterprise edition on the server. 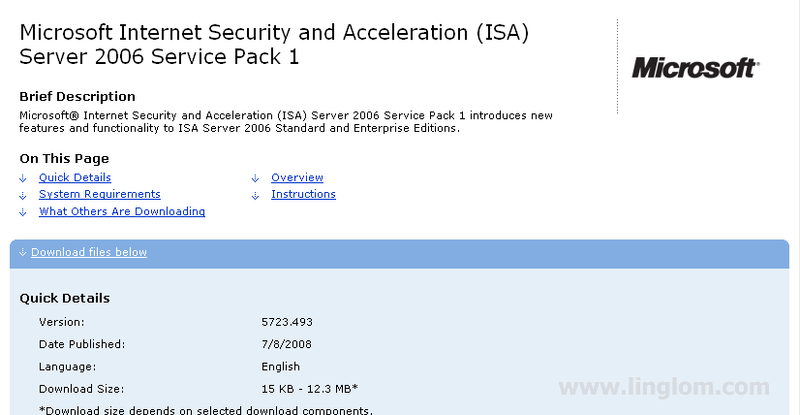 At this time, there is a service pack for ISA Server 2006 which you can download from Microsoft website. 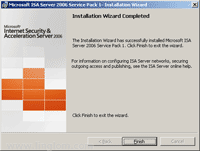 So I am going to show how to update the server to ISA Server 2006 Service Pack 1 on this post. Note: There are others security updates for ISA Server 2006 available besides the service pack which I will not cover on this series. So you should check and update them on your own. Configuration Change Tracking. Registers all configuration changes applied to ISA Server to help you assess issues that may occur as a result of these changes. Web Publishing Rule Test Button. Tests the consistency of a Web publishing rule between the published server and ISA Server. Traffic Simulator. Simulates network traffic in accordance with specified request parameters, such as an internal user and the Web server, providing information about firewall policy rules evaluated for the request. Diagnostic Logging Query. Now integrated as a tab into the ISA Server Management console, this feature displays detailed events on packet progress and provides information about handling and rule matching. Support for integrated NLB mode in all three modes, including unicast, multicast, and multicast with Internet Group Management Protocol (IGMP). Previously, ISA Server integrated NLB-supported unicast mode only. Support for certificates with multiple Subject Alternative Name (SAN) entries in published web servers. Kerberos Constrained Delegation (KCD) authentication supports trusted-domain user accounts. Improve Web Publishing Load Balancing (WPLB) cookie handling. For more information about this service pack, see Microsoft Article 943462. 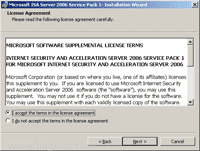 Download the file from Microsoft Internet Security and Acceleration (ISA) Server 2006 Service Pack 1. Double-click the downloaded file, ISA2006-KB943462-X86-ENU.msp, to run the setup wizard. On Welcome to the Update for Microsoft ISA Server 2006 Service Pack 1, click Next. On License Agreement, select I accept the terms in the license agreement and click Next. On Locate Configuration Storage Server, you have to specify the Configuration Storage Server. On this example, I leave it as default and click Next. On Ready to Install the Program, click Install. 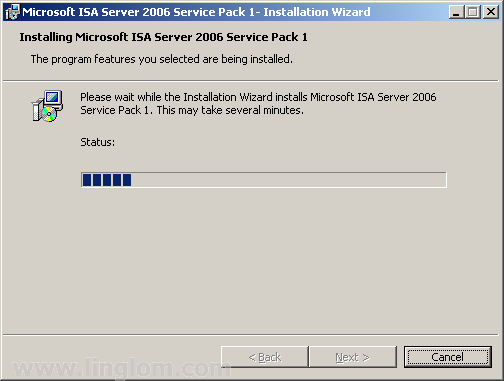 On Installing Microsoft ISA Server 2006 Service Pack 1, wait until the installation completes. On Installation Wizard Completed, click Finish. There is a pop-up message asks you to restart the system for the configuration changes made to ISA Server 2006 to take effect. Click Yes to restart it now. Once the system is restarted, you can see the version of ISA Server 2006 is updated by open ISA Server Management. 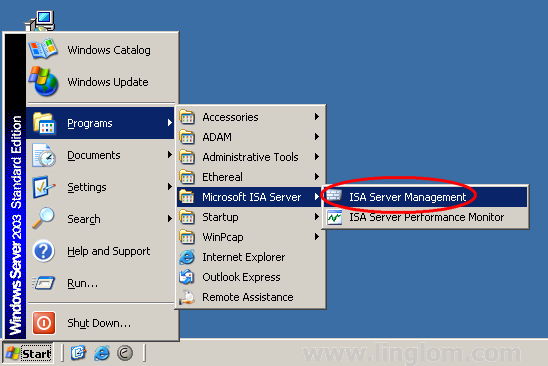 Click Start -> Programs -> Microsoft ISA Server -> ISA Server Management. 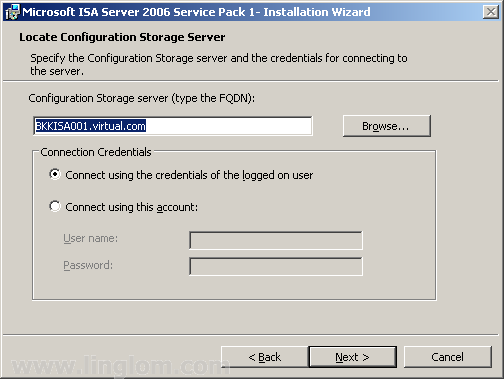 On ISA Server Management, click Help -> About Microsoft ISA Server 2006. 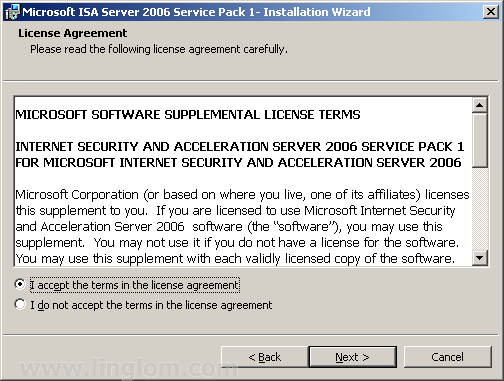 On About Microsoft ISA Server 2006, you see the current version of ISA Server 2006. 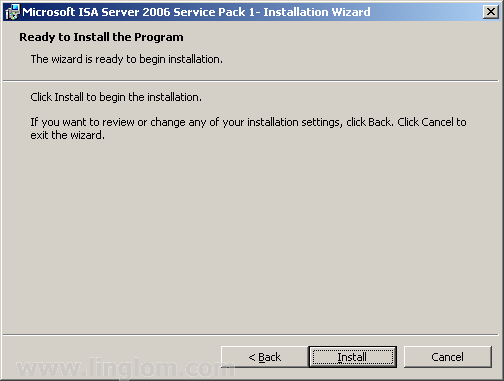 The version of ISA Server 2006 Service Pack 1 is 5.0.5723.493. Now you have installed and updated ISA Server 2006. Next, I will show how to configure ISA Server 2006.